This boxed set of letters and symbols was produced to enable shop owners to print their own notices and prices on paper or card. Unfortunately there is no maker's mark or label on this set, but it was probably manufactured in England. 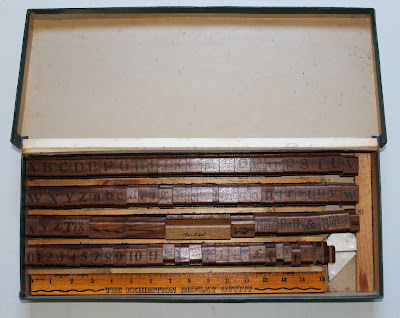 Other examples of printing sets like this were also made for children.